Colourful has already shown off its next gen coolers, such as one which will be equipped on the GTX 2080 iGame Poseidon. The GTX 2080 Founders Edition will look rather different to its predecessors as it will be a dual-fan design. At the recent ChinaJoy expo, GALAX said that the GeForce 20 series would deliver a breakthrough in performance plus Nvidia ray tracing technology support. GALAX confirmed availability for September. Moving on to other next gen GTX news sources, Chinese site IT Home has been digging through the code of the latest edition of the AIDA64 benchmark software. 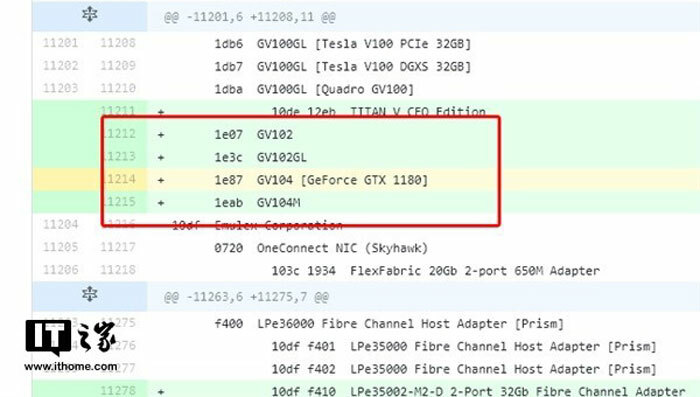 In the code there is reference to a GV104 GeForce GTX 1180 graphics card. This contradicts the GTX 2080 rumours, as things stand. It isn't the first time we have seen such data leak early from AIDA64 and it also indicates the hardware will be available soon. Another tech site called Segment Next, today wrote that the next gen GeForce cards would be known not by a GTX prefix but by an RTX prefix, signifying that they are ready for Nvidia's real-time ray tracing tech in games. It quotes a YouTuber source, AdoredTV, which added that RTX cards will be the higher-end 1180 and 1170 parts but the 1160 will remain in the GTX sub-brand or category. Another interesting snippet was that the GTX 1160 will be nearly 30 per cent faster than the Pascal-based GTX 1060. Last but not least, going back to VideoCardz, the site has just published a story providing more ammo for the RTX naming rumours. 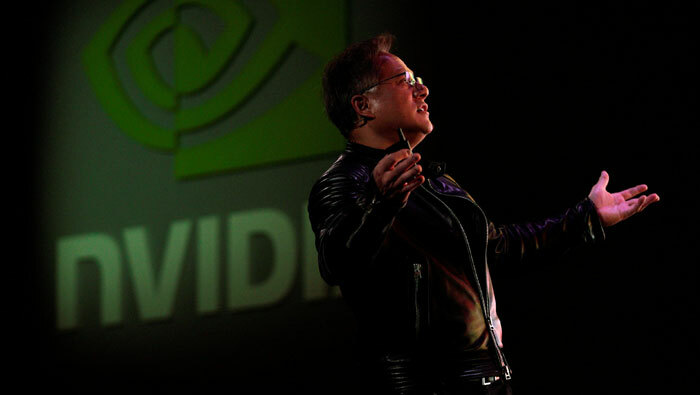 Nvidia has applied for trademarks for Nvidia Turing, Quadro RTX and GeForce RTX. It quoted both AdoredTV and the USPTO as sources for this information. All the above is interesting but nothing is very conclusive. Thankfully Nvidia-sourced clarity and facts should only be 10 days away. Loving the cover picture. Nerds dressed like rock stars and trying to create the atmosphere of a concert. For a PCB with some very expensive bits of black stuff stuck on with blobs of environmentally friendly lead-free metal. The RTX 2080 only 8% faster than a 1080ti which has more, albeit slightly slower memory? Ok so it is likely to include support for Raytracing - but surely that is just a driver/software issue? If the RTX 2070 has the perfromance to support it then surely a 1080ti will have. It depends on the metric you're using to measure the “speed”. If you're looking at raw aggregated FPS in current games or perhaps even a single benchmark given this is clearly a guide for selling them, then it may well be only a few percent faster. Hardware optimisations for ray tracing may mean that (realistically for games in 1 or 2 years time which utilise it more) a specific benchmark for this may make it twice as fast or more on this specific metric. Without knowing how they derived the statistics listed here, they're fairly meaingless. Also, whilst ray tracing may well be a driver issue, they are simply going to claim it's more hardware and not update drivers for older cards to enable it because they want you to have to buy the latest card for the latest features. ATI/AMD were pretty good at making cards which lasted longer in this regard but Nvidia (in my experience) tend to try and shaft consumers wherever possible. I'm no AMD fanboy, I have a Nvidia card. I'm a brand whore - I buy whoever has the best at the time. I look forward to every game getting an extra 6/11fps extra for the cash. Each year… the same story. If we'd only just stop buying, when a new version arrives, these companies might just lower the prices. It's not like we desperately NEED the extra small fps increases. P.s. Why would anyone throw down cash for an 1180 KNOWING that the 1180+ is one month away?